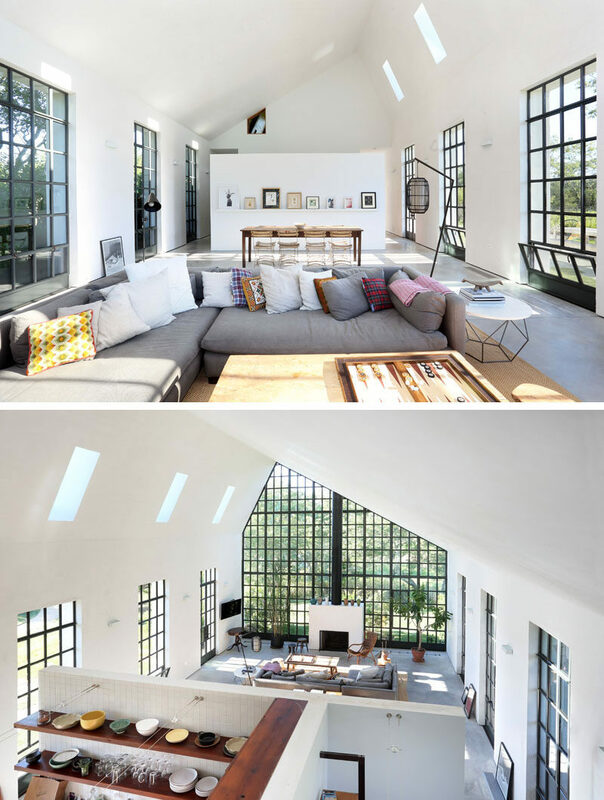 Design and development group TADA were asked to create a guest house on a large lot in the center of Bridgehampton, New York. It took just 8 months to design and build the guest house, that’s surrounded by gardens, a pool, and BBQ pit. 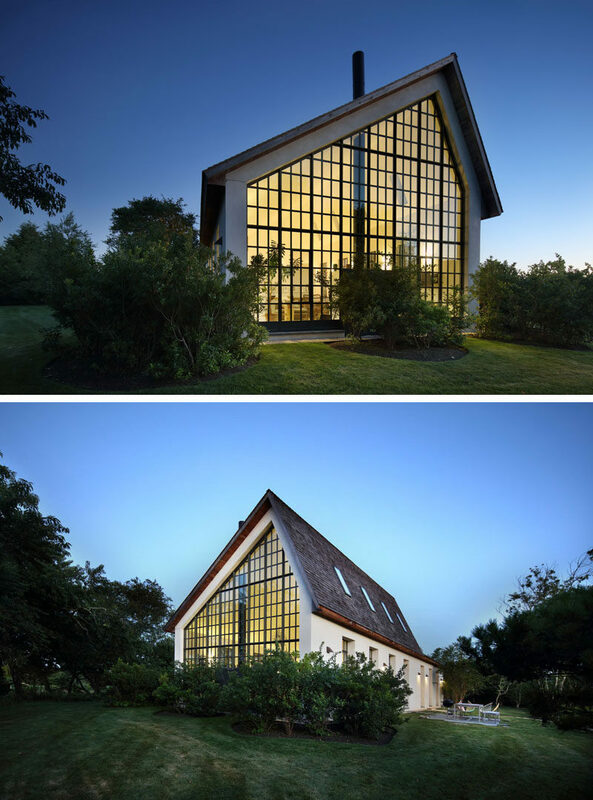 At one end of the guest house, large double height windows create a lantern-like appearance and provide views of the landscaping. Inside, the guest house has an open floor plan. 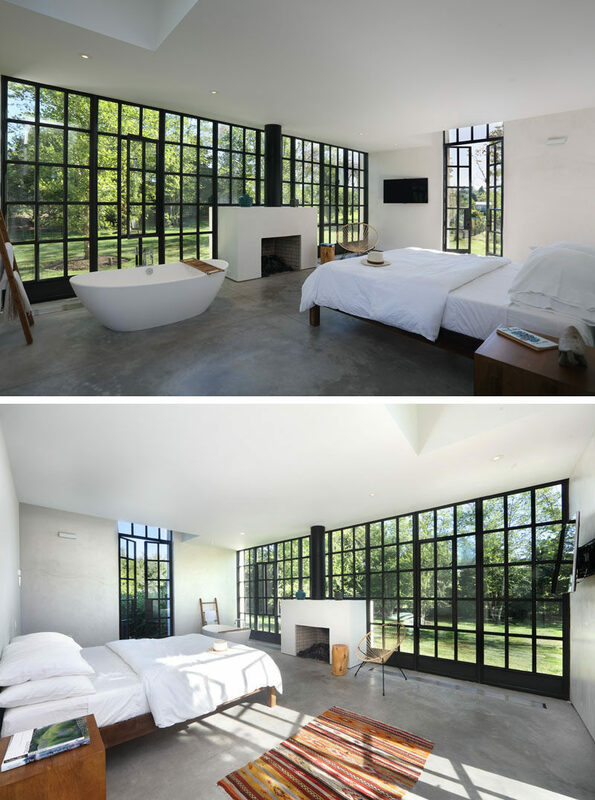 The black window frames are a strong contrast to the white walls and concrete flooring. 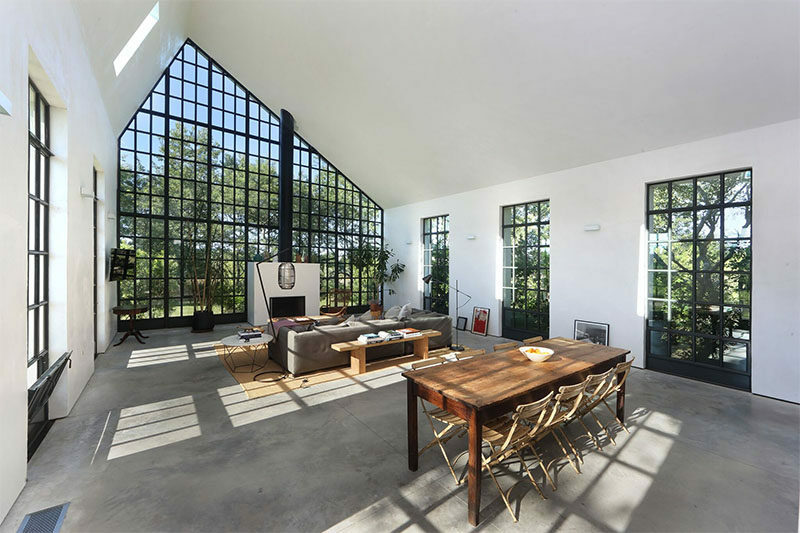 The living room is focused around the fireplace, while the dining area is positioned in line with one of the side windows. Behind the white partition wall, there’s the kitchen and a bathroom. On the other side of the kitchen and bathroom, there’s a bedroom with a standalone bathtub that takes full advantage of the view and fireplace. Upstairs is another bedroom, this time surrounded by wood and with views of the treetops. The wood paneling was made from the wood of an old warehouse in Williamsburg, Brooklyn.